More and more homeowners are expressing their desires to not only make their homes more functional and efficient, but unique and luxurious as well. 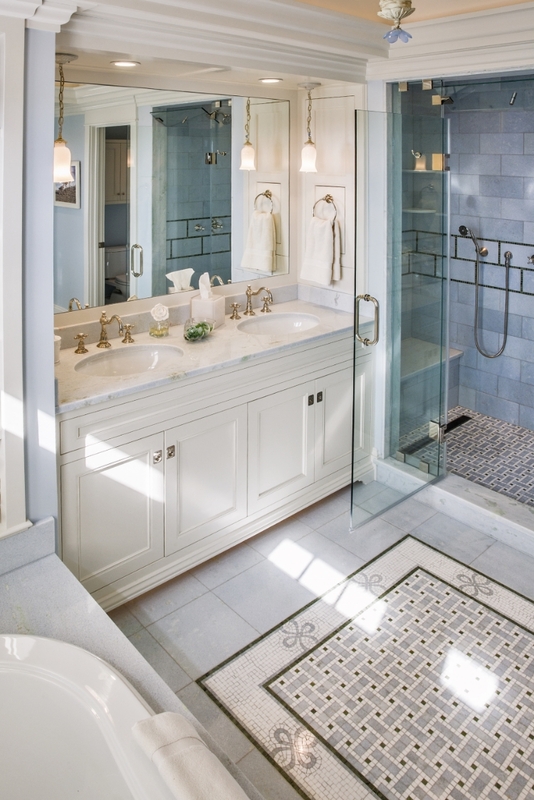 With the growing ability for home design companies, like Monetti Custom Homes, to transform rooms like the bathroom into in-home spas, it’s no wonder homeowners are opting to upgrade their space. In-home spa bathrooms are growing in popularity and with the vast array of high-end trends available, there’s almost nothing that can’t be done! 360 degree showers – These open concept showers come complete with heating and pressure settings that allow for the ultimate spa-like experience. These spacious showers give the feeling of standing under a beautiful warm waterfall. Steam shower/sauna combos – Because there’s nothing like relaxing in a sauna and letting the stresses and anxieties of the day melt away, the option to do it in the comfort of your own in-home spa bathroom is becoming more and more desirable. Why go to a gym or health club only to share the sauna with 10 other people when you can simply step into your own private, steamy oasis. Heated radiant floors – While this trend is nothing new, its longevity in the home design world goes to show just how enjoyable this creature comfort must be. Nobody likes stepping onto a cold tile floor in the middle of winter, first thing in the morning. With timed heating cycle options available, keeping warm is not only easy but also efficient. Heated towel racks & electric towel warmers – Along with keeping your feet warm, enjoy the feeling of wrapping yourself in a dry, toasty towel that feels like it’s fresh out of the dryer. With timed towel warmers, the days of “drying” ourselves off with damp towels are a thing of the past. Statement tubs – When both style and functionality are the end goal, statement stubs are a great way to give your bathroom a unique and upscale look. Clawfoot tubs, cast iron tubs, and freestanding deep porcelain tubs are all highly stylish and can be made highly functional for your space. For more popular home spa design trends, please visit our Houzz Gallery. Starting a Project? Top Questions to Ask your Custom Home Designer!